Andrea Sutcliffe, Chief Inspector for Adult Social Care, from Care Quality Commission comments on the difficult decision of choosing social care services for an elderly friend or relative. More and more of us are picking our way through the complex world of social care either for ourselves or someone we love. So many times when I speak with colleagues in similar circumstances, we reflect that we find it hard despite working with or in health and social care services and how difficult must it be for everyone else? 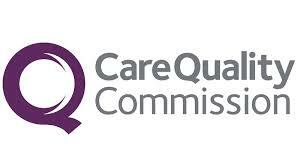 These concerns were reflected in the survey Care Quality Commission (CQC) conducted recently that found 70% of people in England who have arranged adult social care services for a loved one have ranked it as one of the most stressful life decisions they have ever had to make. Bearing this in mind, we launched our new #CareAware campaign to raise awareness of the importance of this decision and to support those embarking on this sometimes bewildering journey. It is not surprising that we find this decision difficult – ensuring your relative is safe and happy in their new surroundings can certainly feel like a big responsibility on your shoulders, and can feel particularly overwhelming if you have usually provided the care that they need. At CQC, our role is to make sure that your loved one is cared for well in a high quality environment. We inspect care homes and care in the home services all across the country, to hold them accountable for providing safe and effective care for everyone they support. As the national regulator, we ask five important questions when inspecting the nation’s care services. Are they safe? Are they effective? Are they caring? Are they responsive to people’s needs? Are they well-led? And most importantly, we will often ask ourselves whether we would be happy for our own loved ones to live there. The Mum Test has had a powerful influence on our own practice and has inspired providers to improve. Our independent reports reflect a picture of the country’s provision of adult social care and are available on our website. Experiences of adult social care vary across the country, and interestingly we found areas where we have rated higher numbers of care services as ‘Requires improvement’ were the areas where the highest proportion of people found that choosing a care home was the single most difficult life decision they had made. If you are looking for adult social care services in your area, our inspection reports are a good place to start. With these you can compare your local services and decide which aspects of care are most important to you and your loved one. Asking trusted friends about their experiences can also be helpful, and armed with our reports and trusted reviews I would definitely encourage you to visit a selection of care homes to get a feel for the care home, speak to managers, staff and if you can, residents and their visitors. Friendly and caring staff make such a difference to people’s lives, so make sure you are happy with the way in which staff engage with residents. There are many things to consider and these will differ for each individual – residents with mobility issues may require a room on the ground floor, and those with dementia or severe health conditions may need more specialist services. Planning ahead before the unexpected happens is so important. So many people end up make this vital, life-changing decision at a time of crisis which increases the stress. Good preparation will hopefully mean you won’t need to make rushed decisions. However difficult you find the situation, there are numerous support networks to assist you with making this decision, such as Which? and Age UK, Carers UK or the Relative and Residents Association, and here at UK Care Guide.